At this fall’s BC School Trustees Association (BCSTA) Fall Academy, recently retired Board Chair for West Vancouver Schools, Cindy Dekker, and I did a presentation on Authentic Leadership Through Ethical Governance. The presentation for trustees and district staff broke out into three main areas: small things Boards can do that can make a big difference, key ways a superintendent can support the Board, and key ways the Board can support the superintendent. As always, the West Vancouver School District’s story is the product of the history of community and district, and speaks to the many people who are involved. It is also important to note, Boards do have many more responsibilities, but this presentation was intended to give insights into strategies and approaches we have found successful over our last eight years working together in Board/District Leadership positions. Board Work Plan/Calendar – Our Board Work Plan serves as a check sheet for the work that needs to be accomplished. While it is far from an exhaustive list of the work done by the Board, as people move out of and into new roles, it helps to provide continuity. The Board Chair and I review (at least, twice per month) the Board Work Plan to ensure all items that need to come to the Board in any given month have been covered and that we are on track with our ‘regular’ work. By March, we are finalizing the calendar for the following year. From briefing meetings to committee schedules and community liaison meetings, the earlier we can have an established calendar the more respectful we can be to staff and Board members to allow them to plan their professional and personal schedules. Regular Chair/Superintendent Meetings – While there are always texts and emails, we block out time to meet regularly, usually weekly. The Board Chair would have her “Superintendent” list, and I would have my “Board Chair” list of items to review. While we attend many events together, regularly committing time to meet has been a very effective process. Clear Delineation of Policies (Board) and Procedures (Superintendent) – In 2006, the Board worked with Leroy Sloan to update the Policies and Administrative Procedures in the district. 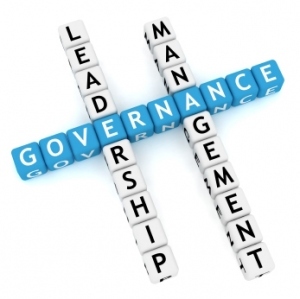 The Board has 18 policies and by-laws that speak to their role in governance. The Administrative Procedures Manual, which is the responsibility of the superintendent, has more than 100-plus procedures that speak to the district’s daily operations. Of course, there are linkages between the two books and crossover between the work of the Board and the work of the superintendent, but this model does help to reaffirm roles in the organization. 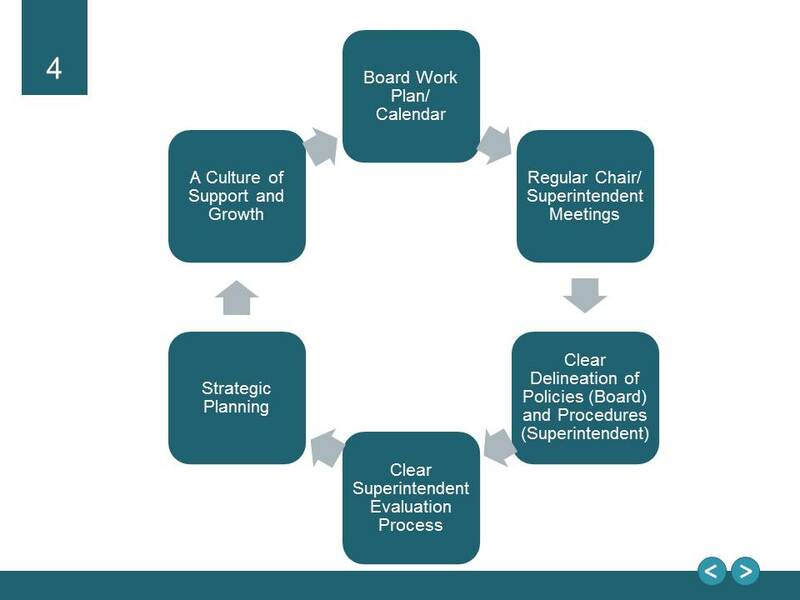 Clear Superintendent Evaluation Process – Our Board uses the framework from the BCSTA for the Superintendent Performance Planning Review. As a superintendent, having a clear view of the process is very important. With our model of policies and procedures, I have been given a high level of responsibility and, thus, should be held by the Board to a high level of accountability. In our district, all of our education staff participate in a growth plan model; our principals and vice-principals work with district staff on their growth plans and all teachers have growth plans they share with principals and colleagues. I meet with our Board three times each year to review my growth plan. I have three areas of focus — the first is from the role description that is in policy, another is based on the district’s strategic plan, and the third area of focus is personal-professional growth. I have previously blogged about my growth plan and shared it publicly here. Strategic Planning – The Strategic Planning Process is written into policy in West Vancouver. Following a period of orientation, our Board engages in a strategic planning process. Looking ahead, this will likely be from March to June of 2015 with the goal of having a final document ready to share in the fall of 2015. There are many different models for strategic planning; the Board in West Vancouver has worked with Malcolm Weinstein, the last three terms, to support their work of building a high level of direction for the district. Recent examples are available for 2009-11 and 2012-15 (PDF documents). A Culture of Growth and Support – We are in the learning business and the more we can model that, the better. No matter how strong results might be, there are always opportunities to be better. The Board dedicates time at each of their meetings for school highlights. Each school has an opportunity to make a presentation during the course of the school year. Very often, this includes the sharing of new ideas and innovative approaches that are having an impact at schools. Recent highlights have included reports on outdoor learning spaces, libraries being converted to learning commons and approaches to communicating student learning that move beyond traditional report cards. Where people go, and what people talk about, speak to what organizations value — while the Board in West Vancouver places a focus on student learning, there is always a quest to find new ways to meet the needs of modern learners. Nice piece on Board Governance. And thanks for the plug, Chris. Great transparency! Thank you for sharing!